We are a Friendly Club that Welcomes New Members. Free introductory sessions and £25 'taster' one month membership. Our season runs from April to October with many social events also happening outside of the season. 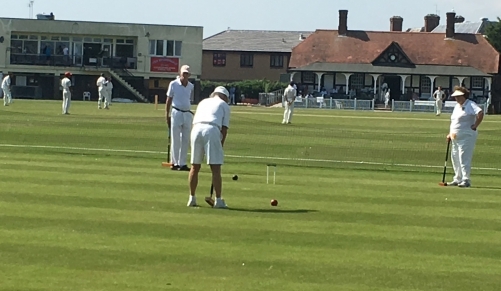 We have five croquet lawns and a Newly Built Clubhouse located on the "Littlehampton Sportsfield" site, co-located with tennis, cricket and football facilities, plus a licensed social club. We routinely play the popular "Golf Croquet" form of the game, but have recently introduced Association Croquet to the schedule. We find that newcomers to the game can join in the "club afternoons" after an hour's tuition. 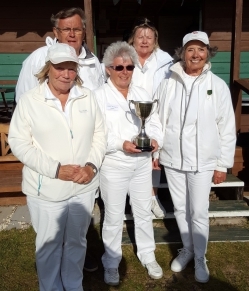 Click to Display the very Latest Club News including Results. Click to View our Club Lawn Diary and Timetable by WeekDays. 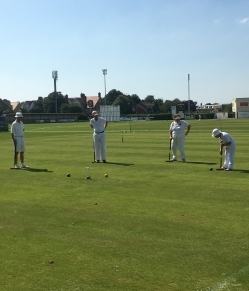 Click to View the Club Social Events and Match Fixtures for the 2019 Season. The New Clubhouse in Stages and the Postcode Cummunity Trust. Augering, Levelling & Android / Kotlin Development.